Perhaps demonstrating, emphatically, that rock music is long in the teeth, 2018 marks the 50th anniversary of several historic albums. 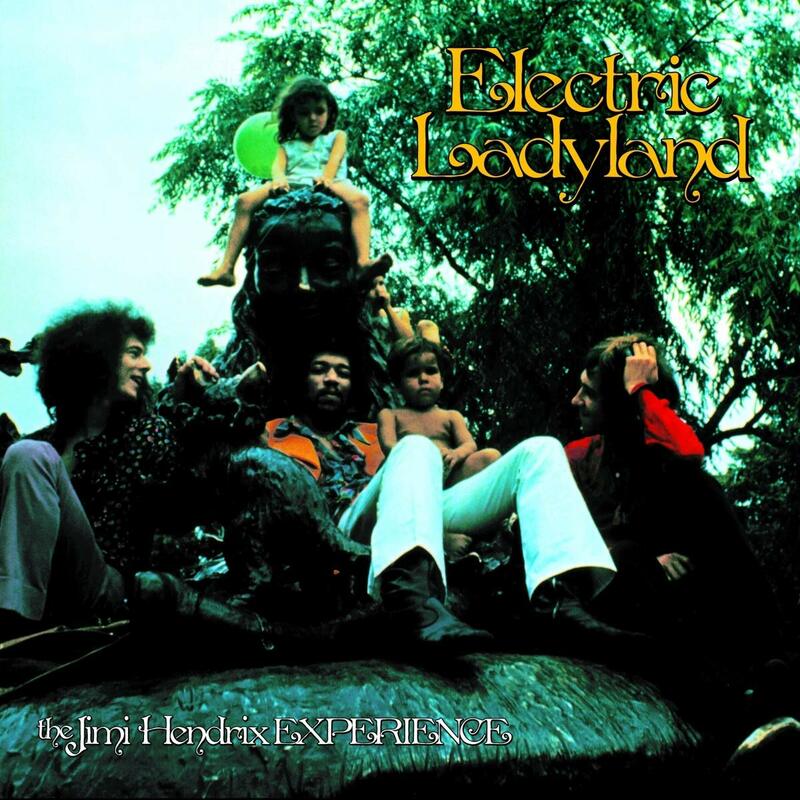 At the top of the list is Jimi Hendrix’s Electric Ladyland, a muddy, blues-infused psychedelic mashup originally released on 2 vinyl platters. Sony’s Legacy label celebrates the half-century with a deluxe 3-CD/1-BluRay set also released in a 6-LP/1-BluRay edition. In addition to a new remaster of the original album, fans get a full disc of demos and alternate takes plus a live recording made at the Hollywood Bowl in September 1968. The BluRay disc includes a new 5.1 channel surround remix of the album, high-resolution audio of the stereo master, and the video documentary “At Last … The Beginning – The Making of Electric Ladyland,” which is an expanded version of an episode of the late great Classic Albums cable TV series. The audio/video media is housed in a handsome hardcover book with extensive liner notes about each element in the box set plus many photos from the sessions, images of Hendrix’s handwritten lyrics, and images of a several-page letter Hendrix wrote to executives at his record company detailing how he wanted the album cover designed (it was not done the way he wanted, in the U.S. or in the U.K.). By 1968, Hendrix and his bandmates—drummer Mitch Mitchell and bassist Noel Redding—were road-hardened and had achieved enough monetary success to get more sophisticated with their recording techniques and more ambitious with songwriting. However, the band was keeping a frantic touring schedule, so sessions had to be tucked into the few blank spots in the calendar. Hendrix gravitated to the new Record Plant studio in New York, with its 12-track tape machine and, for the day, sophisticated console. He brought over from England engineer Eddie Kramer, who had created many of the new and different sounds and effects on Hendrix’s earlier recordings. As the sessions progressed, Hendrix turned to friends as guest musicians, gaining some album tracks from loose all-night jam sessions in the studio. At the same time, Redding’s role declined and many of the albums’ bass tracks were laid down by Hendrix. Sound-wise, the new remaster of the album is better than the last go-around, which was over-loud and too bright. The high-resolution stereo audio on the BluRay disc sounds even better. The 5.1 mix is trippy and amusing, but sounds thin at times because there are too few tracks to move around the bigger sound-field. The documentary, like most episodes of the Classic Albums series, takes a non-critical look at the music and artists but gives details about the interpersonal dynamics surrounding the sessions and includes scenes of Kramer isolating different sounds from different songs and explaining how they were created. The disc of demos, out-takes and alternate takes is a good companion to the video documentary, but some might find it too deep a dive into the weeds. The live concert, previously available only as a bootleg, has poor sound quality, and in fact does not include full audio of two songs, but offers an interesting snapshot of how the Experience sounded and what they performed during the time Electric Ladyland was being created. Any fan of Jimi Hendrix or of this particular album will enjoy this deluxe reissue. It may be information overload for a casual Hendrix listener, but the packaging is very nice and all the deep dive is made quite accessible. This entry was posted in Popular, Rock, and Misc. and tagged CD review, Electric Ladyland 50th Anniversary Deluxe Reissue, Jimi Hendrix, Legacy, rock, Tom Fine by aaamc. Bookmark the permalink.